John Michael Hubert Lee was born on 13 August 1927. He was educated at Reading School and Christ’s College, Cambridge. Between 1951 and 1958 he worked for the Colonial service in Ghana, before becoming a barrister in 1960. He married Margaret Ann in 1960. John Lee stood for Labour in Reading, losing in 1964, but winning two years later. He represented the constituency until his defeat in the 1970 General Election. He returned to the Commons as the MP for Birmingham Handsworth in 1974, standing down at the 1979 election. "I must have been about 14, I suppose, when I happened to pick up by sheer chance a book called guilty men written by Michael Foot and others … about the reason why we were landed in the war – and remember this was the middle of the war, things weren’t going very well – that cultivated my interest in the fact I didn’t think the country was being governed very well. … I also – again it was probably as much by chance as anything else – I read Richard Llewellyn’s How Green Was My Valley telling about depression in the Welsh valleys in the years before the First War and indeed going on. That affected me a great deal. It gave me I think an acute social conscience…. After that I began to take more of an interest in politics. The influence that perhaps articulated my views more than anything else was the teachings of Archbishop William Temple, who is still, even though I’m not a practising churchman now, Temple is still a hero of mine … Those are the seminal influences." 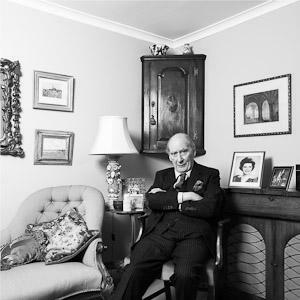 Track 1 [Session 1] [01:54:48] John Lee [JL] born 13th August 1927. [00:11] Discussion of early life. Description of JL’s late baptism at three years old in 1930. [01:18] Discussion of parents and family background. Describes father as being in the City, in the sugar market, and him being Deputy Sales Manager in the British Sugar Corporation. Father had fought in First World War, and had “extra responsibilities” during the Second World War. Mother from County Durham. She came to London just before WWI. Discussion of parents marriage in 1916 and being an only child. [02:28] Discussion of being brought up in Bracknell and education. Went to Reading Grammar School from junior years until the age of sixteen when he went to Cambridge. Mentions love of history and debating. Wasn’t sporty. Mentions friendship with Richard Body. Discussion of ‘Guilty Men’ by Michael Foot and others. Anoher important book was “How Green Was My Valley” by Richard Llewellyn, about the Depression in the Welsh Valleys before WWI. Discussion of early social conscience. Description of influence of works of Archbishop of Canterbury William Temple on JL’s beliefs. [06:50] Discussion of history teacher, strong influence on him becoming the Labour nomination for Reading. [08:15] Discussion of second world war. Like others, could see things building up, and took an interest at the time of the Munich Agreement of 1938. Clearly recalls Arthur Neville Chamberlain announcing outbreak of war. Mentions time in cadet force. [10:22] Discussion of JL’s parents political tendencies. Father was a “rather right-wing liberal”, and mother “leant to the Left”. Their politics were general, and not informed, but they were clever. They were neither “orthodox Tories” nor Socialists. Discussion of JL becoming a socialist. Description of Tory hold over Reading seat. [12:49] Description of joining Commonwealth party at age of seventeen and later moving to Labour party whilst at Cambridge. Discussion of time at Cambridge. Active in the Union and debating within his own college, in the Milton Society. Studied Modern History. Description of political engagement whilst at Cambridge. [16:45] Description of National Service. Mentions Cold War. Description of time in Egypt and relationship with Commanding Officer. Discussion of colonial service. Mentions time in Ghana from 1951. [22:58] Description of limited impact of time at London colleges upon political views. Mentions spending time out of the country from 1949 to leaving Ghana. Discussion of time and role in Ghana. Discussion of organisation in Ghana and opposition to agricultural services. Tells story of having been left in charge on first day. Tells story of overseeing the extradition of a dead French man. [30:58] Discussion of contracting typhoid whilst in Africa. [32:40] Discussion of legal experience. Discussion of enrolling in the BAR and taking final exams during leave from service. Discussion of joining the BBC. [37:35] Description of becoming active in the Labour party and wanting to become an MP. Discussion of being shortlisted for Clapham in 1961 but failing to get selected. Tells story of putting in for Reading seat. [39:40] Description of Terry Boston’s [TB] position as favourite for the seat and TB being selected for another seat. Mentions Bill Malloy. Tells story of having won selection by one vote in 1961 for the 1964 election. Tells of failing to win seat by ten votes in 1964 election. [42:24] Description of 1964 election campaign. Description of getting reselected and winning in 1966 general election. [43:20] Discussion of second selection process. Description of being encouraged by Richard Macardo. [45:10] Description of local Labour party base. Description of second election in 1966. Description of short pupillage for the BAR. Discussion of time as a criminal barrister. [48:55] Description of friendship with tory opponent Peter Emery. [49:45] Discussion of maiden speech. Discussion of entering Commons for the first time. Description of secretarial system. [52:35] Description of being impressed with Dennis Healey and Michael Foot. [55:07] Discussion of view on Europe and Enoch Powell. [56:36] Discussion of atmosphere in Parliament. Description of duties of an MP, commons process and committee work. Discussion of filibusting the bill on increasing the power of the House of Lords. [01:00:34] Description of modern debate over Europe. [01:03:48] Discussion of social life in Parliament. [01:04:50] Discussion of relationship with local party once in office. Description of JH’s perception of his job as MP and constituency politics. [01:08:00] Discussion of lack of ministerial ambitions. Discussion of Horace King’s style as speaker. Discussion of opposition to nuclear weapons. [1:10:28] Description of standing committees. Discussion of JH’s relationship with the whips and voting against the party.